Small businesses love social media as a marketing tool, and for a good reason too. 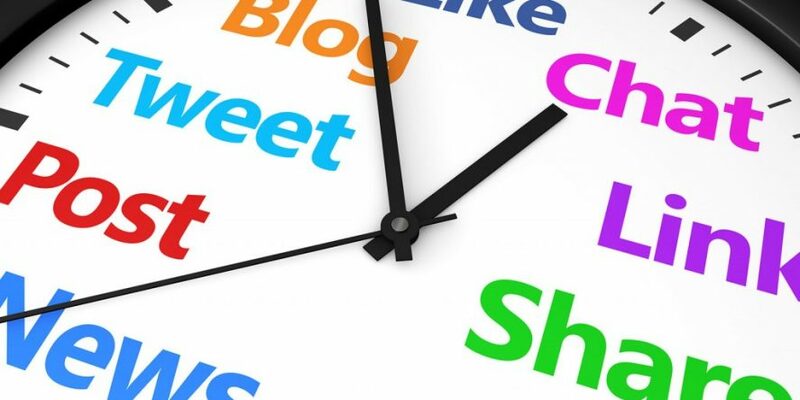 Social media gives you a chance to engage with your target audience in a different way, find new connections and build relationships – but how much time do small businesses spend on social media? It has been reported that 43% of small businesses in the UK are spending 6 or more hours a week on social media platforms. This is at least one hour a day, more than 5 days a week, on a social media site. Further to this 25% of small businesses spend 6-10 hours on social media every week – this is 2 hours per work day… a lot of the time when they could be focusing on other areas of the business and their real strengths. As well as this 11% of small businesses in the UK spend between 11 and 20 hours on social media, this is near enough half the working week – if you are spending this much time on social media for your business you need to ensure that you are getting a return on your time investment. 7% of all small businesses in the UK are spending over 21 hours a week on social media – I can only hope that these small businesses are running a social media business of some sort as that is a LOT of time to spend on social media as a small business with lots of other things to do. If you want to get your business on social media but you don’t have the time or you’re not sure where to start then give us a call, we can offer social media training to show you how to save time on social media, or we can manage your business social media for you.